I stayed up wayyyy too late watching the Oscars last night. Did you? There were some gorgeous dresses (by far my favorite dress), and some of the acceptance speeches were actually composed and very touching! But the thing that really caught my eye last night, was the huge, red rose back drop on stage. I couldn't find a great picture to show you, but it was so gorgeous! 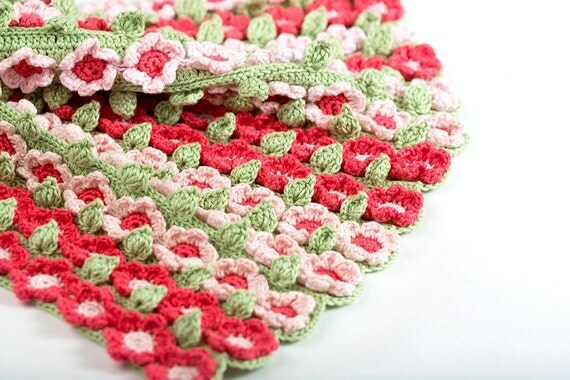 My friend has been looking for a good idea for a "rose" themed baby blanket for her next baby girl. When I saw the backdrop, it was exactly what I had imagined her baby blanket to look like! And then I knew exactly what today's yarn inspiration was going to be...flower afgans! The contrast of the blue and red really caught my eye with this blanket. 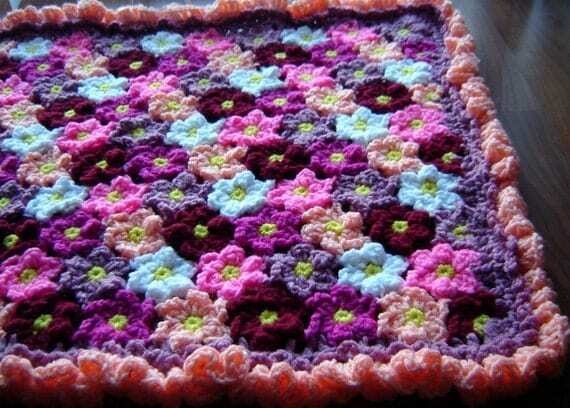 I also love how she integrated the design of the flower petals into the granny square. 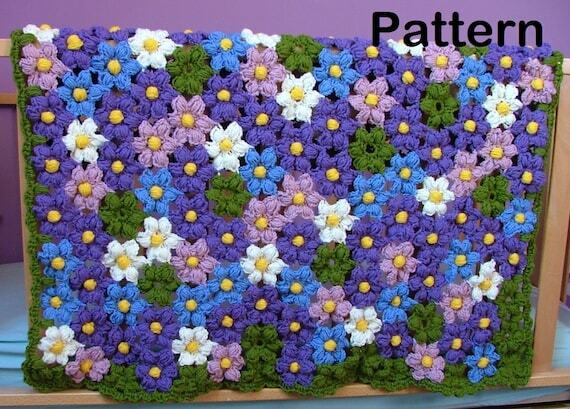 This pattern is by Sewing Daisies. I love this sweet little design by Sweet Crocheterie. The fuschia and light pink stripes are so adorable! This pattern is by Mursulla on Etsy and I just love the different blue hues as well as the stitch she used in the flower design. Another fun mix of pink flowers by JT Easy Crochet. I'm intrigued to know how each little flower is connected! I was inspired by some elegant stage scenery. What has inspired your latest crochet or knit project? I am so excited to announce that I am now a contributor on Ashlee's blog, I'm Topsy Turvy! She has an amazing craft/food/diy blog and I am happy to be a part of it! I will be sharing a new crochet pattern for her once a month! Stop by and read about all of her contributors today!